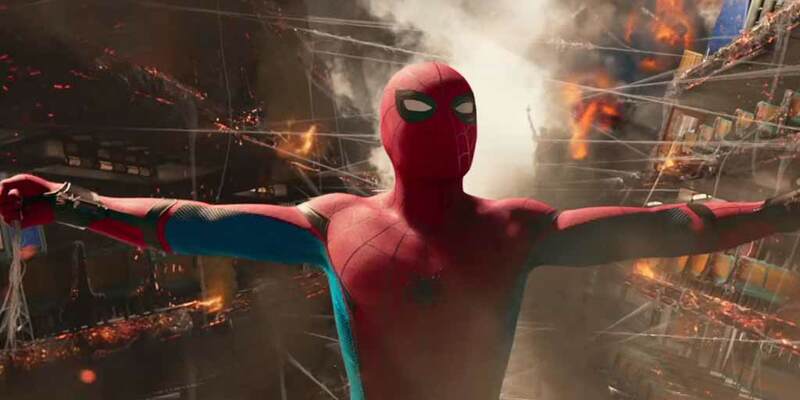 Spidey Suit Getting Much-Needed Upgrades for Homecoming | Nerd Much? The Spidey suit is getting some much-needed tech upgrades in Spider-Man: Homecoming. Looks like CES 2017 isn’t the only place for innovation. Marvel Entertainment tweeted a video today that details some of the most important improvements that were made to his suit. Thanks to Tony Stark, Spider-Man will have new web shooters, web wings, and more. The web shooters have been upgraded with a variety of “selectable web types” and a “laser targeting system.” Under the arms of the Spidey suit are the classic web wings. These are an old staple of the comics that are nice to have back. What’s really new is the GPS tracking system and a “holographic wrist display.” Sadly, we won’t really get to see this in action, but it will be interesting to see how it is utilized in the final movie. The disappointing technology in the Spidey suit is the set of eyes on the mask. Since is was first revealed that they alter their shape, fans have been coming up with theories as to their purpose. According to this video, they are just that way to be more expressive. That kind of takes the wind out of the sails. Spider-Man: Homecoming is scheduled to release this summer on July 7. With actor Tom Holland calling the main villain Vulture’s reveal “like a horror movie,” we have a lot to look forward to.